Turn cubes of ice into fresh snowcones, ready to be flavored and enjoyed. 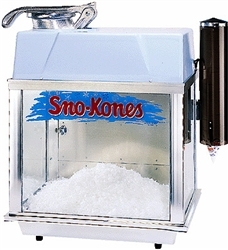 The high-quality snow cone rental machine can grind ice into fine snow in minutes. 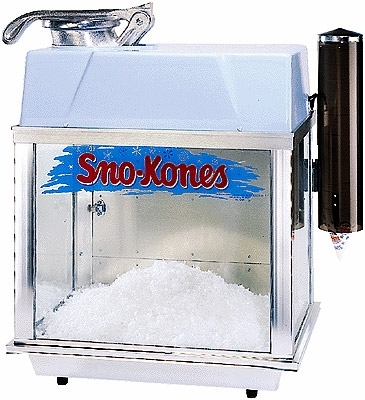 With glass fronted storage cabinets, easy back door access, and a plastic top, this snow cone machine rental is always in demand. Comes with a shaved ice dipper, 2 yummy flavors, and serving cups for up to 70 servings.